We went on a little adventure over the extended Thanksgiving weekend a few weeks ago. Friends invited Andrea and me to go canoeing on the Rio Grande, in Big Bend in the western part of Texas. The drive from Austin to Terlingua is about eight hours. Andrea, Jean, Kristina, and I enjoyed the luxury of being able to take most of Wednesday off and to get out of town early. We piled a bunch of gear and ourselves into a 4Runner and made it to our destination in time for dinner and drinks at the fun Starlight Theatre. Our other old and new friends arrived long after we had cuddled ourselves into our down sleeping bags in the parking lot of the Far Flung Outdoor Center at sub-freezing temperatures. 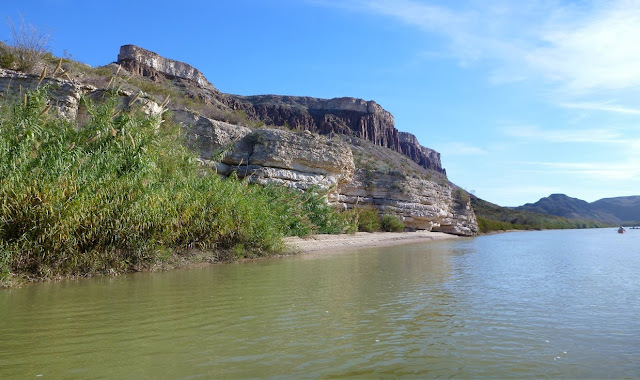 We rented canoes, which seemed like a significant reduction of hassle compared to dragging individual boats from Austin to Big Bend, and had Far Flung shuttle us in our cars to the put in at La Cuesta in Big Bend Ranch State Park. I was amazed by how much stuff fits into these boats -- amongst other things, we traveled with two camping tables, plenty stoves and cooking gear, a (national park-mandated) fire pan and portable "waste containment system" (toilet), and of course many coolers full of food and beer. The border between the US and Mexico in Big Bend is pretty much represented by the Rio Grande, providing for a US and a Mexico bank of the river. It was enjoyable to spend a few days oscillating back and forth between the two countries without being subject to scrutiny by immigration officers at every occasion. The only person we met on (and off) the river during our 4-day trip was a lone law enforcement ranger in his canoe, just after we entered Big Bend National Park and before getting into the canyon. The majority of animal sightings on our ~30 mile trip were cattle and horses on the Mexican side. The most exciting part of the trip surely were the Rock Slide rapids, not too far from the beginning of Santa Elena Canyon. A huge number of impressively sized boulders are piled up against the Mexican canyon wall, and several of them strewn across the water channel provided for the most challenging rapids on this trip. Andrea and I managed to pin our boat against a boulder sticking out of the water right before the Rock Slide. Luckily, nobody got hurt and we managed to get the boat off the rock easy enough. And the trouble of packing all of our stuff into waterproof bags and containers paid off. Our two most experienced paddlers ended up running all of our six canoes through the Rock Slide, with some of us being bowmen and others (including me) scrambling through the dry part of the slide on foot. The canyon with its steep limestone walls is truly beautiful. In fact, everything of Big Bend we saw on our trip makes me want to go back. Maybe for some hiking for a change? We certainly didn't starve on this trip, either, having organized dinner responsibilities into a different group of four for each of our camping nights. And the company turned out to be most excellent, despite the fact that some of us hadn't really known each other before this trek. Fall is upon us in Austin, and it has been a year since I began my temporary retirement. (Technically, that year has been over for a few weeks now. I'm just now catching up with the blog.) This means that it is time for me to start earning money again. I decided to do my own thing and work as a freelance consultant for IT security for a while. Check out Secuilibrium's website! But this also means that it is time to reflect a little bit on the past year. If you have been following my blog, you know that -- beyond any doubt -- I have had a splendid time! Now that I'm back, people keep asking me: Which of my adventures was the best? This is a tough one. There wasn't one that wasn't fun. 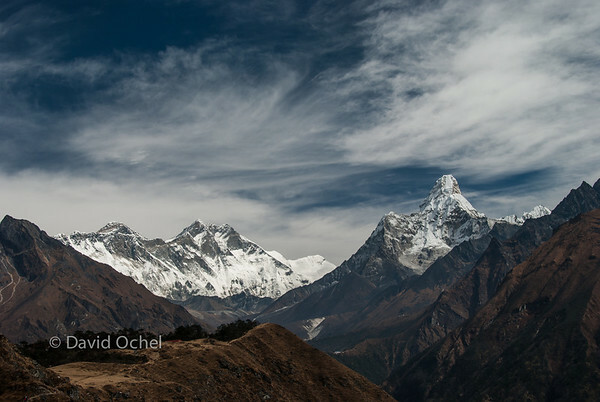 Nepal was a fantastic way to start things off, and an environment I had never before experienced. Caving in China was a blast. And so was hanging out with old and new friends in various parts of Mexico and Europe. Burning Man was an incredible experience. And all the little side trips just added to the amazement. I hadn't read as many books in a long time as in the evenings up in little tea houses in the Khumbu, thanks to my Kindle. 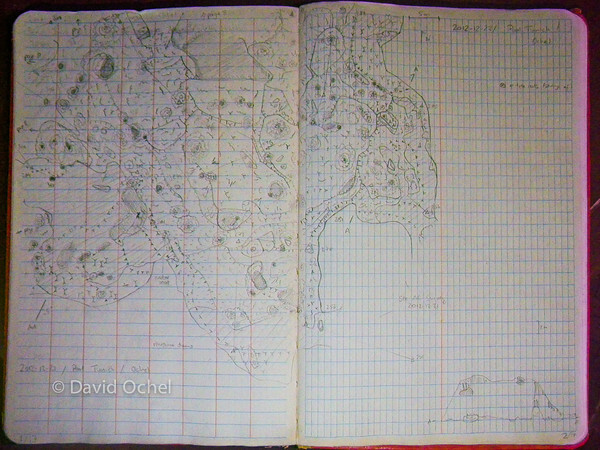 Sitting out rainy days in Puebla and hiking around in the karst gave me a lot of time to ponder ideas about what to do next and scribble into my little notebook. And I got reminded of the awesomeness that are inspiration-instilling podcasts while driving around the western US in my little pickup truck. Somewhere I read the other day that traveling and driving are some of the best activities to foster new ideas. I can readily agree with that. I know many people who claim that they wouldn't know what to do with their time if it wasn't for their work. I'm not one of them. If I had the money to retire for good right now, there would be tons of caving and other projects to pursue -- there are still a bunch that I never got to in the past year. But since that's not an option, I am actually quite excited to get back to work and put a somewhat different spin on information security than what used to be my main bread and butter. Many ideas have been spooking around in my head, and there are a number of topics I want to look into. Hopefully, working as a freelancer will give me opportunities to do this! I also thought about pursuing a completely different career. 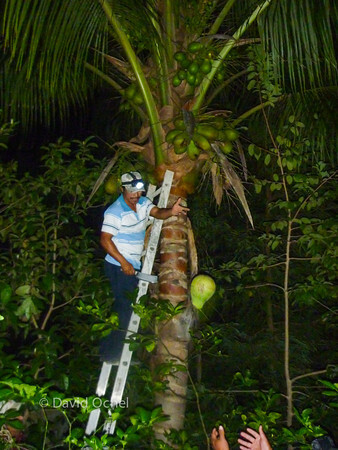 Importing caving gear from Europe, working as a rope access technician, ... But in the end, it turns out that I love technology, and am still passionate about all things information security. Having been back in Austin for a few weeks now without plans or a budget to travel extensively in the foreseeable future has its plus-sides, too. 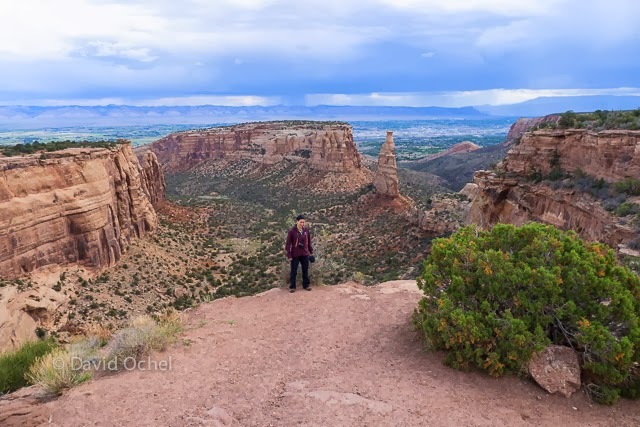 More time to hang out with my friends, be involved in the local caving and security communities, catch up with old contacts, ... Thanksgiving is around the corner and will see a road trip to Big Bend National Park. I would like to thank all of you who have supported me over the past year instead of calling me crazy, those that have had encouraging words for my endeavor to start my own consulting business, and everybody who is sharing their advice with me. It's good to have friends in the world! After Burning Man I spent a couple of weeks driving the Tacoma around the Western US, visiting friends and parks. What a beautiful country! The first time I heard of Burning Man and wanted to go must have been in Germany, sometime after college, a dozen or so years ago. This year, I finally made it. For those of you who have never heard of it, Burning Man is somewhat hard to describe. Maybe sort of a community-driven, creative, alternative, fire and art festival? For about a week, folks of all age and background descend into a self-erected city made out of temporary tent and shade-structures in the Black Rock Desert of Nevada. 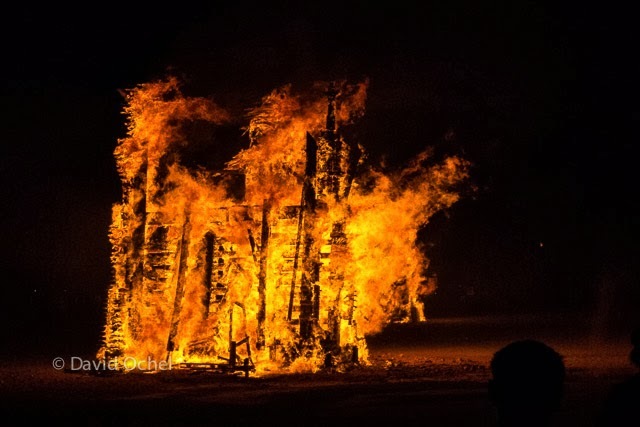 Burning Man's core principles include self-reliance, inclusion, and anti-materialism, and participants come here in order to live out their hippie, counterculture, or whatever other ideals. 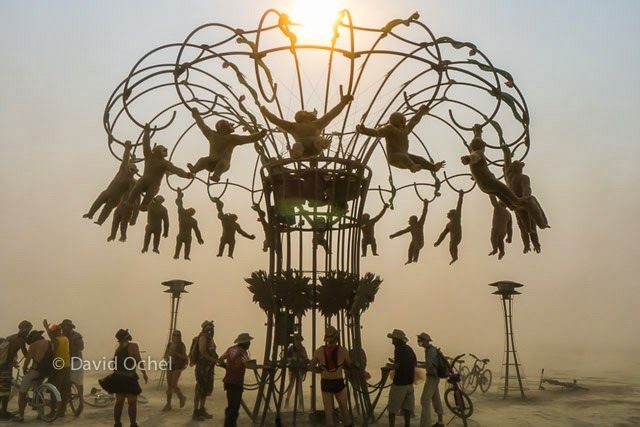 A participant-driven zoetrope with a monkey and a serpent, in a not-too-heavy dust storm on the playa. Deciding to go this year was a no-brainer: I had the time, and several good friends of mine were already planning on going. Surviving a week in the desert, being part of a theme camp and its activities, and having fun with costumes and the like take a decent amount of preparation in the months and weeks before the event. The remaining two weeks after our Europe trip I was busy getting bits and pieces together; building a swamp cooler out of a bucket, pond pump and computer fan; making costume pieces; etc. 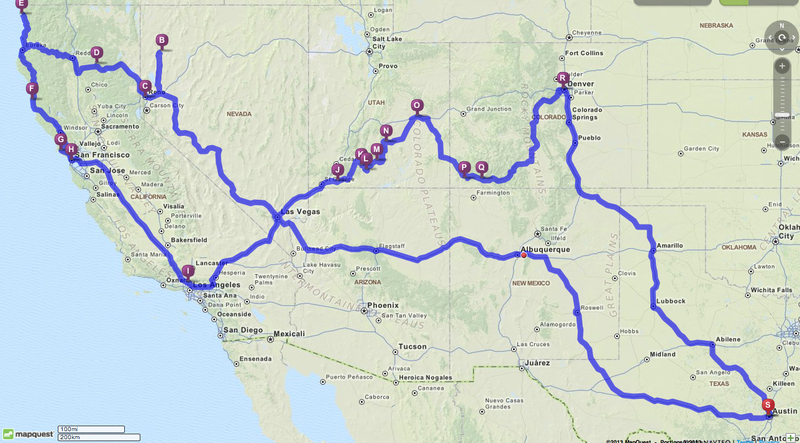 Since -- for once -- I had the time, I decided to drive the truck to Nevada and spend some weeks afterward on a road trip. 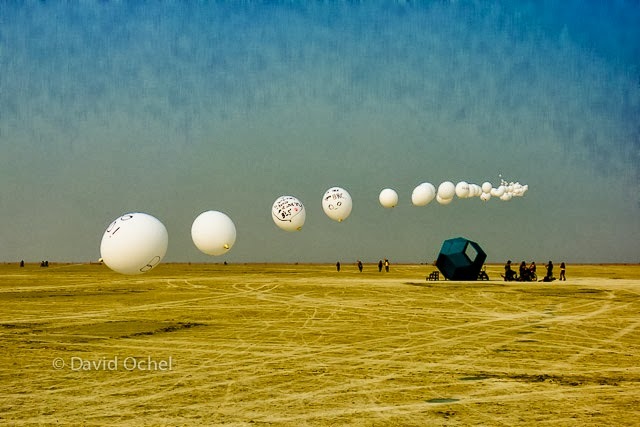 Helium-filled balloons on a string in the wind over the playa. Also very impressive at night, since they each were paired with an LED light. Another art installation in the background. And what a good time it was! Roaming the desert on bike or foot; with friends or alone, making new friends; looking at art and crazy costumes… A lot of art installations on the playa are climbable; a lot of them involve fire or other things glowing at night; and a lot of them are made of wood so that they can be burnt in the end. Not to speak of all the art cars, also known as mutant vehicles -- the amount of effort and skills that must be going into building all these things seems endless. 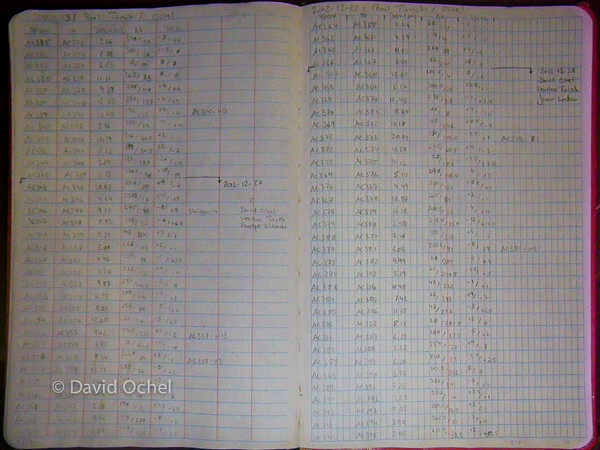 My schedule, as almost everybody else's, shifted more and more toward a nocturnal one as the week progressed. The Temple of Times is burning. I also watched a talk about the geology of the Black Rock Desert, went to a champagne brunch, and explored many camps' activities and events. Seeing the Man, Temple, and other art burn on the playa was fascinating. I stayed with a smallish theme camp organized by friends of mine. Our camp's contribution to the general craziness included a bat-themed merry-go-round and chill space, and a margarita party. The options to do stuff out on the playa were without limits. I'm glad I went, and I plan on going back. 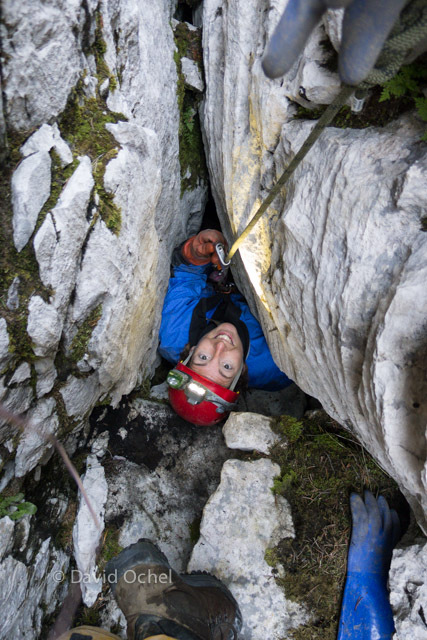 A week of congressing in the Czech Republic was followed by a caving expedition in the heart of Slovenia. More time spent in the Alps after our earlier trip to Austria, but this time our friend Matt had invited Andrea and myself to join him on Viševnik mountain. 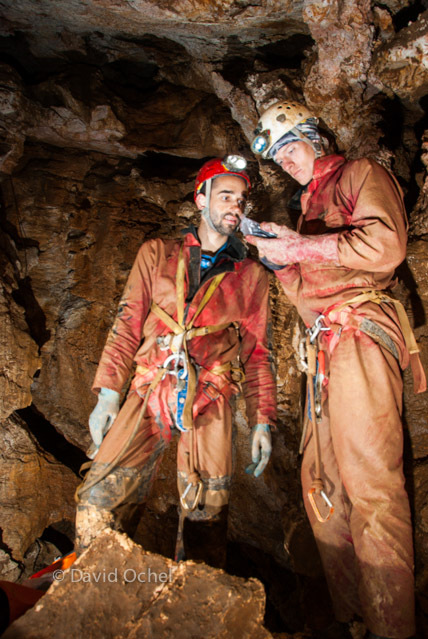 While living in Slovenia for two years, he had spent time developing the area into one of his caving club's project locations. Camping was comfortable. We set up in a clearing about 200 meters away from our parking spots on a service road in the Triglav National Park. From there, it was another short (but steep) hike to our main cave: Evklidova piščal (Euclid's flute) is a fairly technical cave, currently somewhat over 400 meters deep and -- due to some additions as a result of our expedition -- a little over 2 kilometers long. 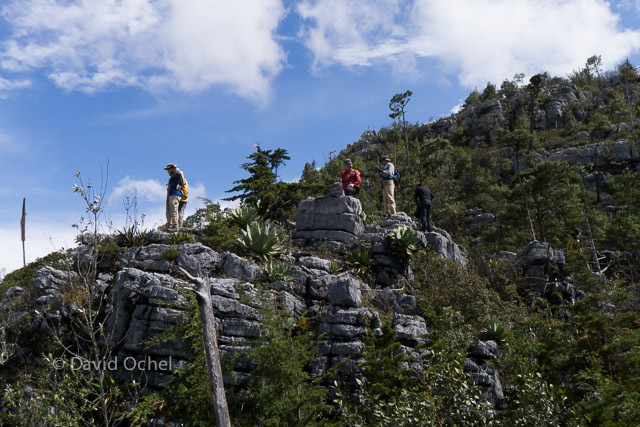 Other days on the mountain involved ridge-walking (looking for caves) on a plateau that features both tons of exposed limestone and a lot of mountain pines; registering locations of karst features and potential caves by means of GPS; and surveying a number of smaller caves. 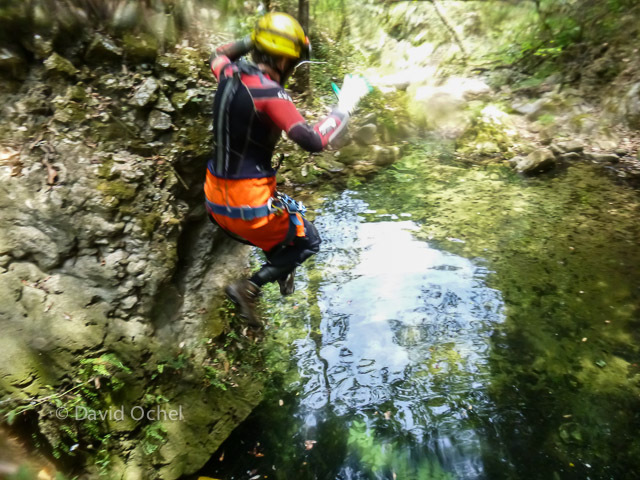 One of the biggest results of the expedition was the discovery of a new cave that was pushed to a little over 300 meters depth and keeps going. Very exciting! 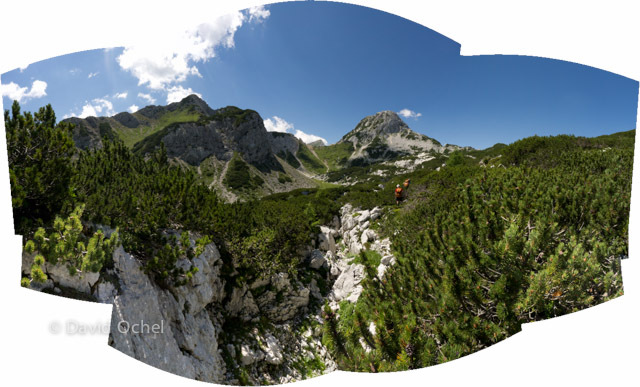 Panorama of the plateau that we spent our time on in the quest for new caves. After a week on the mountain, we took a break for two days of "tourist caving" in some of Slovenia's best-known and famous caves and karst. 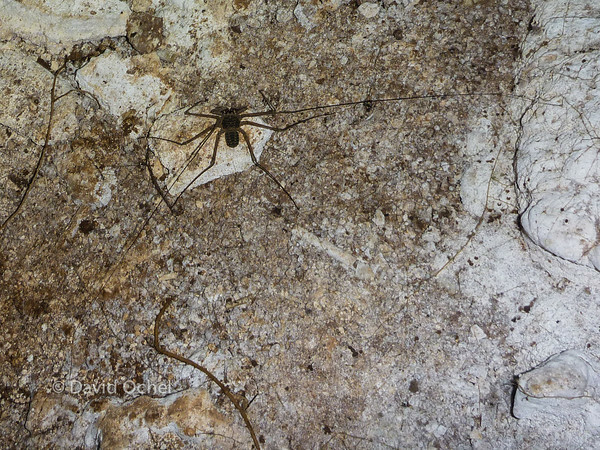 This included walking through some huge caves and limestone bridges in the Rakov Škocjan park, visiting the famous Škocjanske jame show cave, and rappelling down (and climbing out of) the impressive entrance shaft of Kačna jama (Snake Cave). 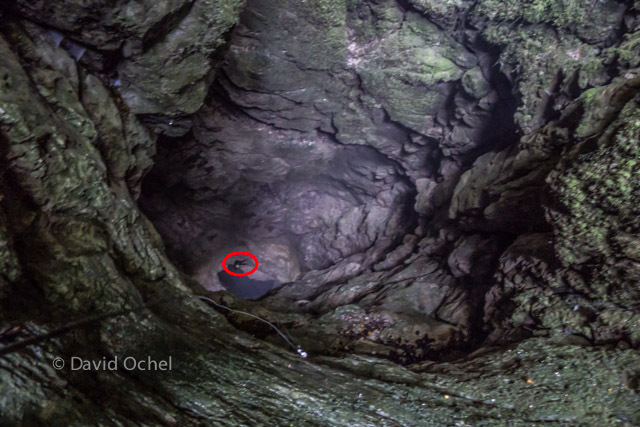 Tiny caver marked for scale in the Kačna jama entrance pit. This concluded Andrea's and my participation in the Slovenia expedition. Together with friends from Austin, we headed from there to Berlin to visit with some friends of mine for three days, bike around the city, and eventually make our way back to Austin. Andrea emerging from a yet-to-be-named cave on the Viševnik plateau. 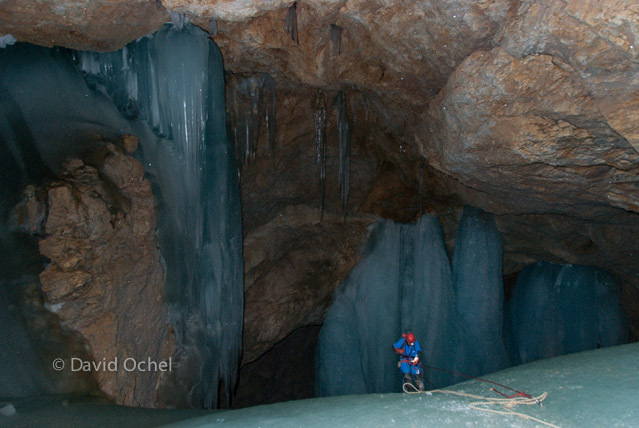 Before attending (and presenting at) the International Congress of Speleology in Brno (Czech Republic) at the end of July, Andrea and I went on a pre-congress excursion to some of the most fantastic ice caves in Austria. (Ice caves, roughly speaking, being caves formed in rock -- typically limestone -- and having perennial ice formations in them.) 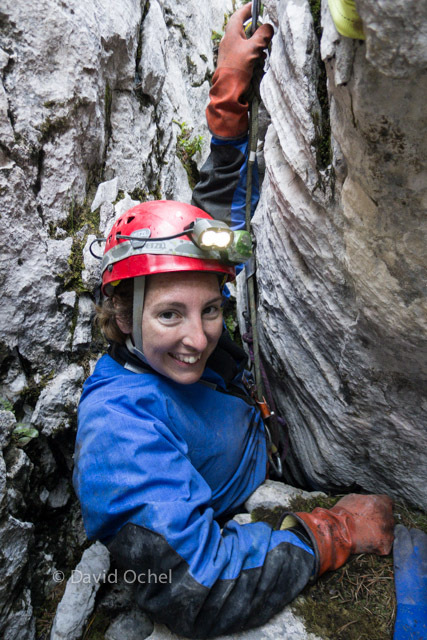 For a week, Austrian speleologists took us (and a number of other cavers from around the world) on a tour of these marvels in the Austrian Alps. 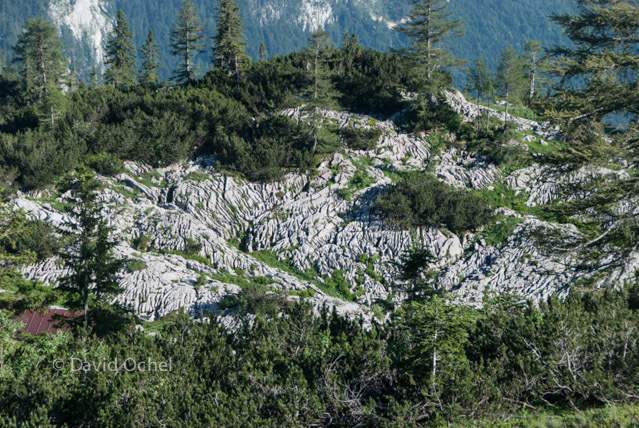 We spent most of our time in and around the Dachstein massif of the Northern Calcareous Alps. A good number of the caves we visited were commercially operated show caves, where we either pretty much stuck to the tourist trails and snuck in in between regular guided tours, or in some cases went into the cave after it had closed for the day and veered off trail to follow our guides through non-commercial parts of the cave. These included Dachstein-Mammuthöhle, Dachstein-Rieseneishöhle, and Eisriesenwelt. Our most involved trips went to Schwarzmooskogelhöhle and Eiskogelhöhle. Hiking to the Schneevulkanhalle (snow volcano hall) of Schwarzmooskogelhöhle took us through some beautiful scenery in the Alps, while the hike to Eiskogelhöhle was more straightforward, but required a number of skills inside the cave. 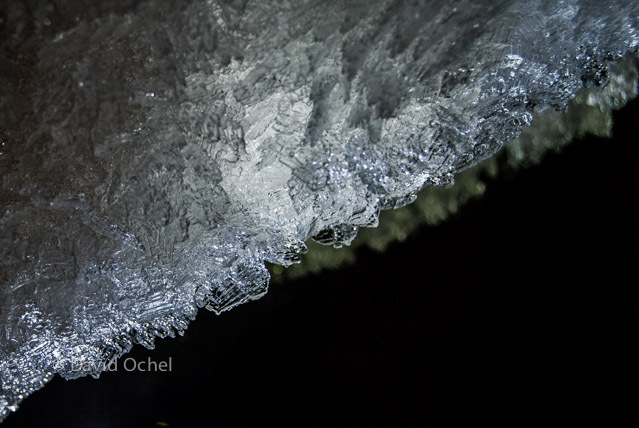 Most of our caving trips involved wearing crampons to be able to move around on ice floors. 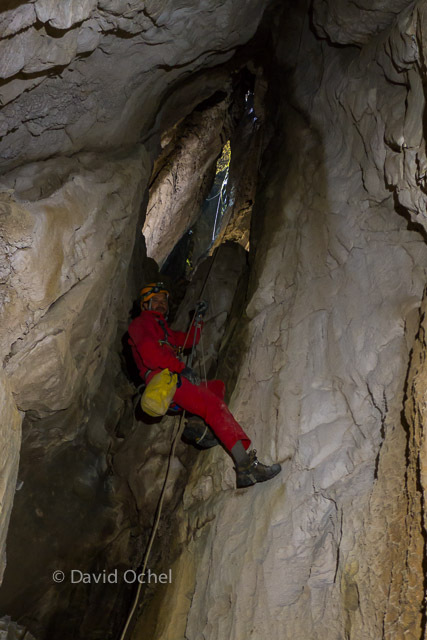 Rappelling into Hall of the Circe in Eiskogelhöhle. A bonus caving trip not on the original itinerary took us to Kraushöhle, which did not contain any ice, but stands out as a cave formed by hypogene development. (Meaning, dissolution driven by water from below, rather than water cutting downward into the rock. [PDF]). And our last day took us to one of the eastern-most ice caves in Austria for a quick visit before heading to Brno. 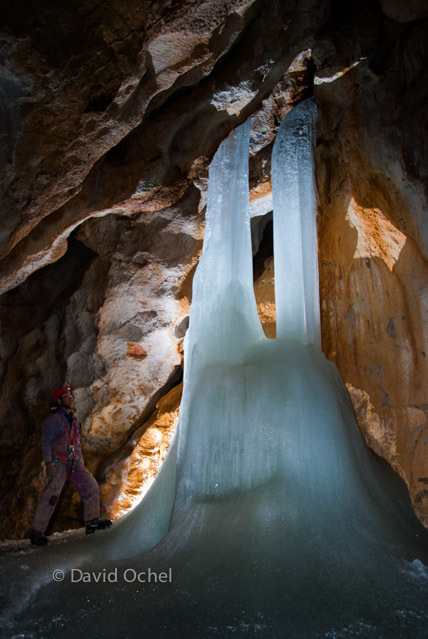 A frozen waterfall has formed a huge ice stalagmite on the floor. The excursion was extremely well organized and offered a good deal of education on ice caves in general and the genesis and other geological aspects of the particular caves we visited. We made new friends, and learned to enjoy Austrian schnapps -- in particular Zirbenschnaps, made from pine cones. Good times! More rain showers and cloudy weather than expected gave me plenty of excuses to procrastinate cleaning my expedition gear after getting home from Mexico. No big deal, since I hadn't planned on using it much in May and June anyway. It was time to try and get some of the projects done at home that had been piling up on my to-do list for years. Our friend Vico taught my friend Jean and me the basics of killing and butchering a pig. Obviously, besides a sharp knife, mastering this endeavour takes more training than doing it once -- but we got an excellent introduction. 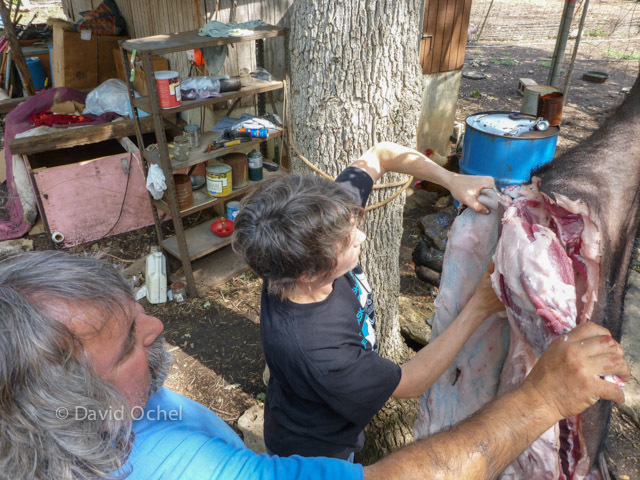 We spent an afternoon shooting a wild hog that Vico had caught earlier, trimming off the skin, and dissecting the meat. A good anatomy lesson, too! Andrea and I spent a week out of town during my time in Austin. We flew to Chicago and touristed around for a few days, something we had been wanting to do for a long time. And took the train from there to Ottumwa (Iowa) to see her parents. 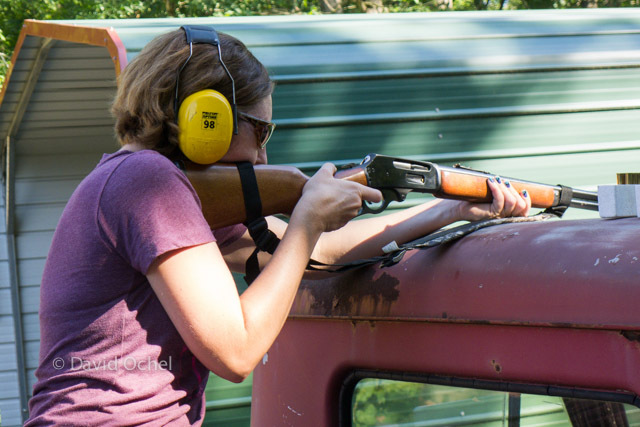 Good times were to be had, including a lesson in shooting a variety of guns. New wood panel to squeeze more power supplies into the middle console... Ugly, but it works. Those were 2.5 busy weeks in Austin! I came back from China with a list of desired improvements to my caving gear and other preparations necessary for my upcoming trip to Mexico. Besides the usual things on my to-do list that I thought would be easy to knock off without having a day job. One thing that had bothered me multiple times on the last expedition was my photo setup. So I decided to invest 150 bucks to buy a new off-camera flash and sync cable -- the previous generation was a manual flash that always caused over-exposed photos in small cave passage, and a cable with a short in it. 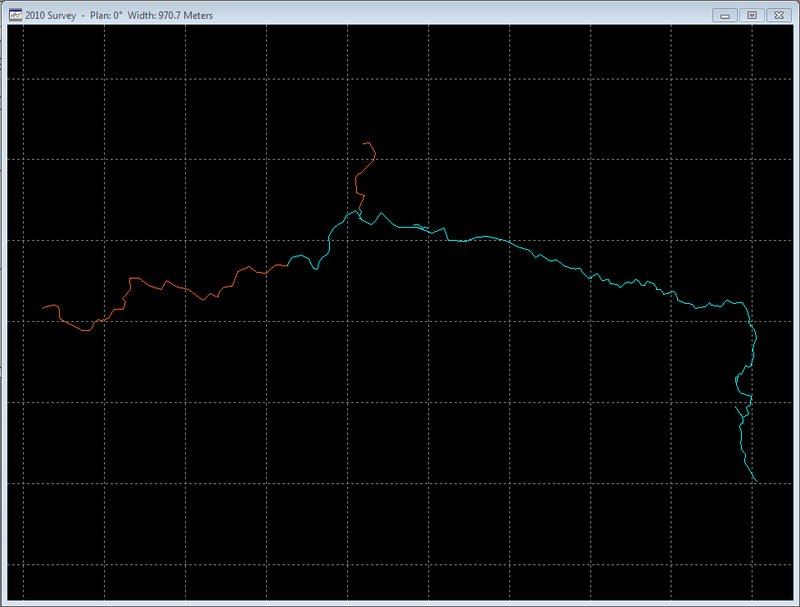 Tests of the new setup left me quite pleased so far. Another investment of several hundred dollars was a bunch of Petzl gear, including some replacement spares and a kit to set SPIT bolts, a specialized type of self-drilling caving bolts for (non-permanent) expedition rigging. I had wanted that kind of gear (a hand driver for the bolts, a number of hangers, and obviously bolts) for a while, but the upcoming expedition in Puebla finally gave me an excuse to actually buy it. My current cave-photo setup: A Lumix LX5 with a Panasonic flash and sync chord to get the flash off the camera and prevent reflections from water and dust in the pictures. Not quite as nice as dragging an SLR around, but certainly more compact. 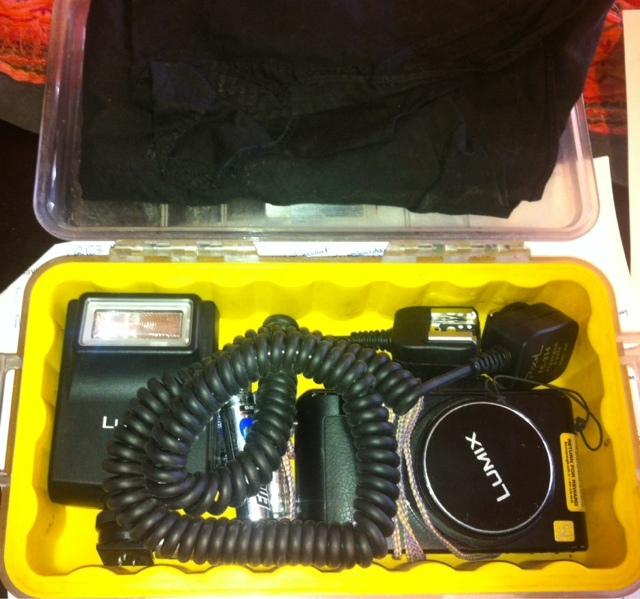 There are more interesting flashes out there that work with my camera, but this one here actually fits into my little waterproof box and seems to work just fine. I also managed to finish another long-term project that I had spent an hour on every now and then for the past two years: improving the subtitles that I had found online for my favorite German movie, 23 -- the story of the German KGB computer hackers from the 80s. I'll put them online when I get back to Texas. 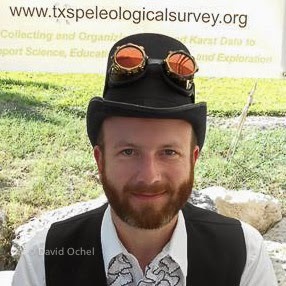 In between, I spent some time digging in south Austin caves, and providing training in SRT (single rope technique - vertical caving) to half a dozen folks. Good times! Right now I'm in Laredo, Texas, at the border to Mexico. 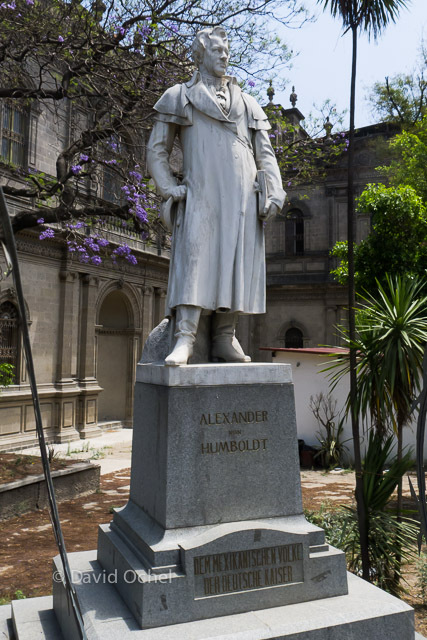 Tomorrow I'm planning on heading to San Luis Potosí, and then on to Puebla the next day. 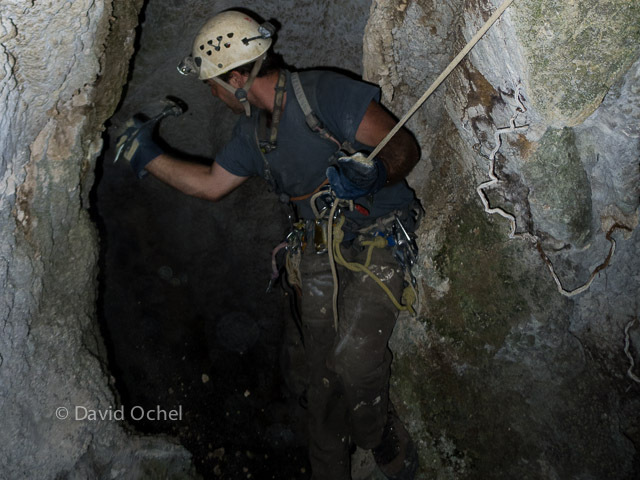 The plan is to go caving in the state of Puebla for a month, spend a week in Oaxaca surveying caves, and then take up a friend on his invitation to spend some time with his family in San Luis Potosí to work on my Spanish and explore their caves. I'm excited to finally take the truck back into Mexico, the last time was in May 2010, before things sort of deteriorated in terms of safety in northern Mexico. Recent reports from cavers driving to southern parts of Mexico across the border sounded like they did not have any trouble, and with driving only during the day and on toll roads I decided it's an acceptable risk for me to take the Tacoma instead of flying and/or taking buses. I went to participate in this year's Spring Festival (aka Chinese New Year) expedition of the Hong Meigui Cave Exploration Society. The objectives sounded exciting: Establish camp in (and push leads off of) Da Luo Dang Tiankeng. 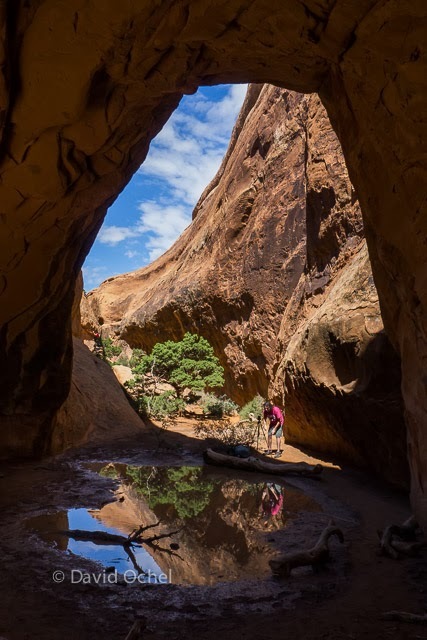 In particular, explore a multiple-seconds drop (when throwing down a rock and listening for it to hit the bottom) downstream, where the explorers had turned around during a previous expedition, since they didn't want to take their chances to get flushed down it in the rainy season. View of camp, and into Da Luo Dang Tiankeng. 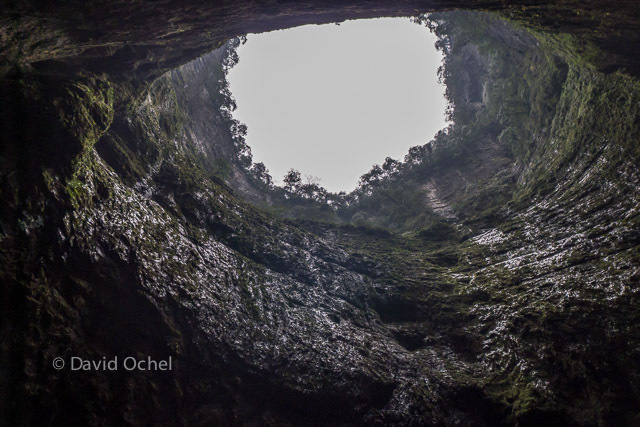 The tiankeng (Chinese for "sky hole", "heaven pit") is most easily accessed by cavers through the San Wang Dong system, rather than climbing to it on the surface and dropping into it. 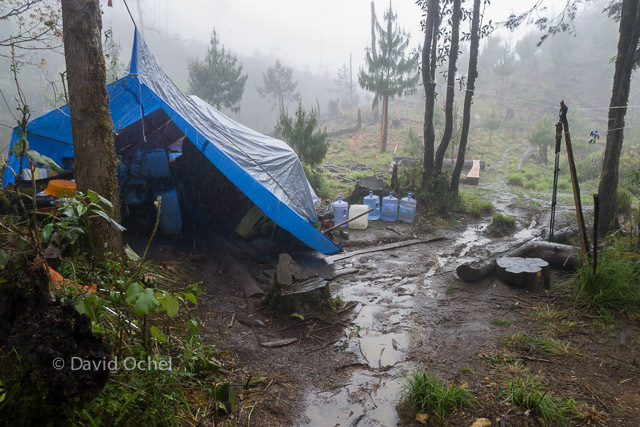 This involves a 2-6 hour trip (depending on amount of gear to carry and other factors), mostly through walking passage and some borehole, but with a few shorter vertical drops, smaller spots, and climbs on the way. We established camp in the passage that opens up into the tiankeng after a few dozen meters; the floor is relatively flat, and there was evidence of previous human use in the form of two cooking hearths and a little rock wall to protect against the wind, presumably created by miners a little while ago. We brought custom-made, floor-less, light-weight tents with us that were attached with strings to bolts and features in the walls, in order to protect ourselves from the draft when in our sleeping bags and capture some of our body heat -- a common technique when camping in drafty cave passage. It was funny to stay in a cave camp that would see daylight during the day. 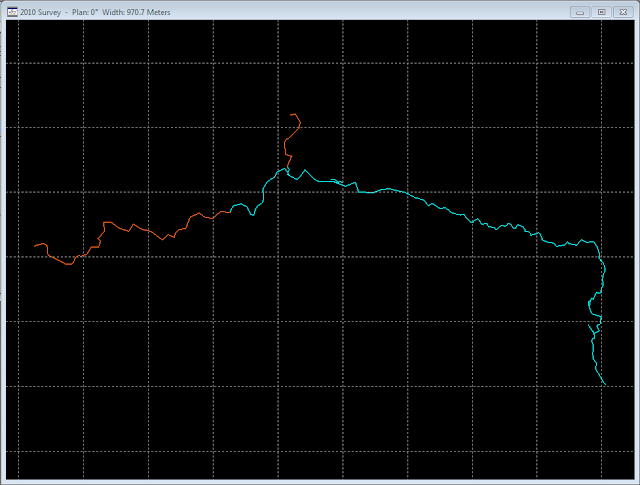 And cold, since we had direct access to the surface climate. (As opposed to the usual 12 degrees Celsius that is typical for the caves in the area.) Camp was maintained for ten nights total, Angela being the only one down there for the full time without getting a surface break. Erin almost made the record, but then her and I were faster than planned on the de-tackling day before breaking down camp for good, and managed to drag a load of gear out of the cave all the way to the surface, earning ourselves a break from the freeze-dried dinners underground and going back to sleep one more night in the cave. Early on in the expedition, Madphil and I had spent a day bouncing to the surface and back to get more rigging gear, our supplies of rope being exhausted much sooner than expected. 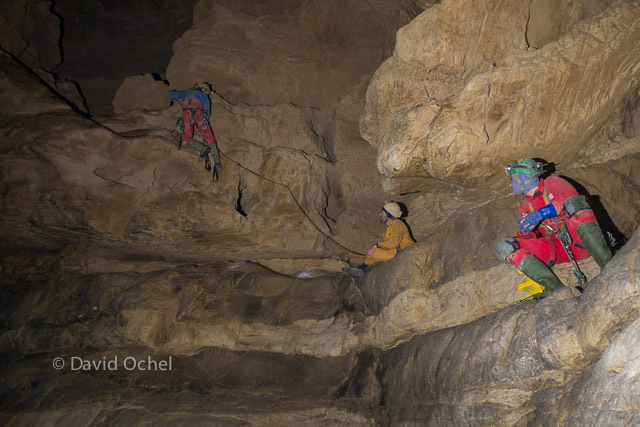 (Our trip lead to the entertaining question of what a reverse call-out time should look like: Send a rescue party to the surface if we aren't back in cave camp by the next morning? ;-)) And to add yet another surface trip for myself, Devra and I joined the team leaving the cave during the first wave of de-rigging and departure from the expedition. I spent a surface day to rebook flights, and then solo-caved back in to bring food supplies for the remaining days. View up in Da Luo Dang Tiankeng. Exploring the downstream passage, spear-headed by Carl. 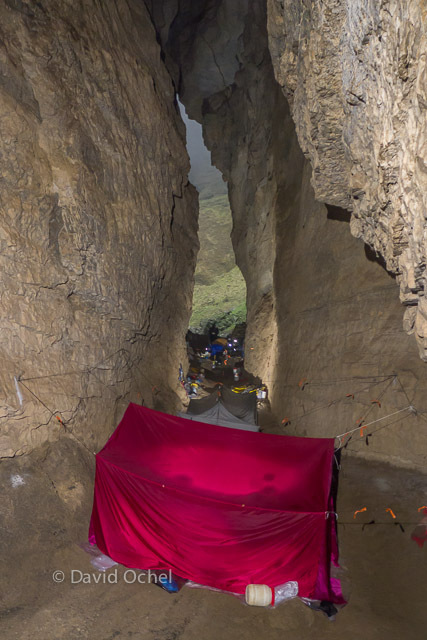 The ~ 80 meter pit was rigged, and passage was explored until the remaining leads were still promising, but require better preparedness for cold, wet caving. Madphil and Rob spent most of the days aid-climbing upward, using a total of not quite a hundred bolts. Their noses directed them straight toward Tian Ping Miao Tiankeng, a (relatively!) smallish sinkhole known from surface topography and now connected into the system. Sadly, no interesting leads were found off of it. 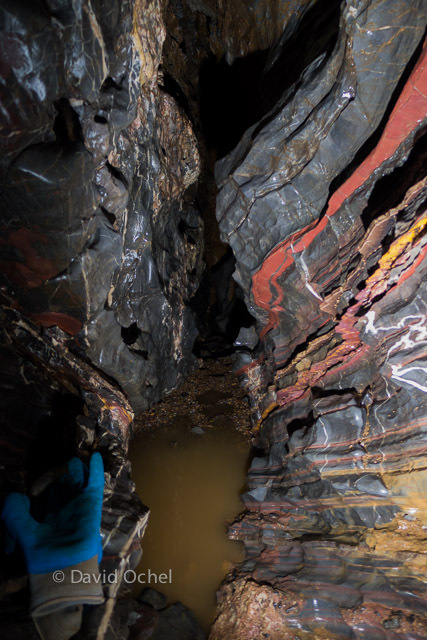 Erin climbed up a steep slope in Da Luo Dang Tiankeng in order to determine its extensions, and to her surprise found passage that showed evidence of miners (nitrate, maybe?) 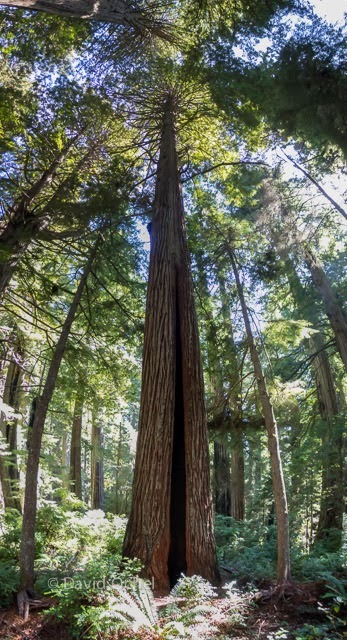 spending time up there, processing stuff, and having built a system to traverse a series of rifts as evidenced by wooden stemples and ladders apparently used to ease traveling at a certain elevation in the rifts. 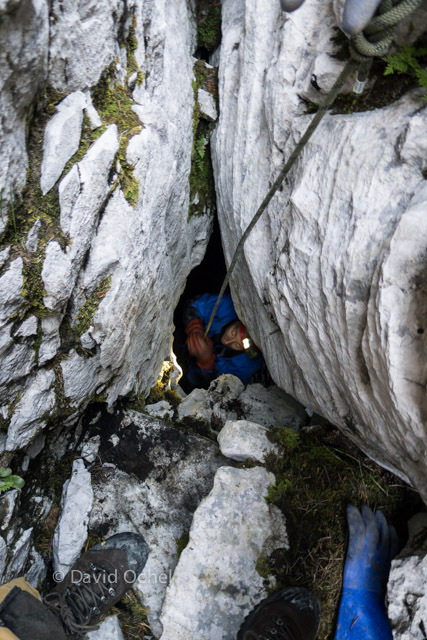 We spent multiple days exploring that passage without finding an obvious way on - when we ran into climbing leads in the last days, the only hammer drill left in camp conked out at the first attempt of using it. Upward, by means of hammer drill.